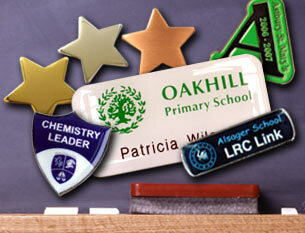 the leading School Badges supplier for over 10 years. large quantities. Whatever your idea, our design service can help to make unique badges that really set your school apart. are waiting to guide you through the options and simple ordering process. TCE Ltd extensive range of School Badges make it easy for the school head or class teacher to reward, encourage and motivate the pupils in their care. TCE Ltd. have a long tradition of providing the best school badges at the most cost effective price. Our range of School Badges include: Star Motivation Badges in faceted Antique Bronze, Polished Silver and Polished Gold plating, Shield and Bar are available in a large selection of standard titles including: Prefect, Buddy, Choir, Head Boy, Head Girl, Peer Mediator, Librarian, Mentor, Sports Captain, Team Captain, Eco-School Captain and a whole lot more Customised School Badges are available for those that need special colours, almost any colour background is available or for special titles, we can create virtually any text or title you would need. House Badges use a secure Safety Pin fastening. Enamel Badges are fixed with a secure clutch fastener. All TCE Ltd's school badges are available in low quantities of only 20 minimum order except for our Metal Button Badges which have a minimum order quantity of only 300 badges and are available in any full colour design you care to provide.